CITGO Petroleum Corporation is donating up to $6 Million to Rebuilding Together Houston to repair 300 homes in Houston's Independence Heights neighborhood, with the goal of repairing 100 homes per year. 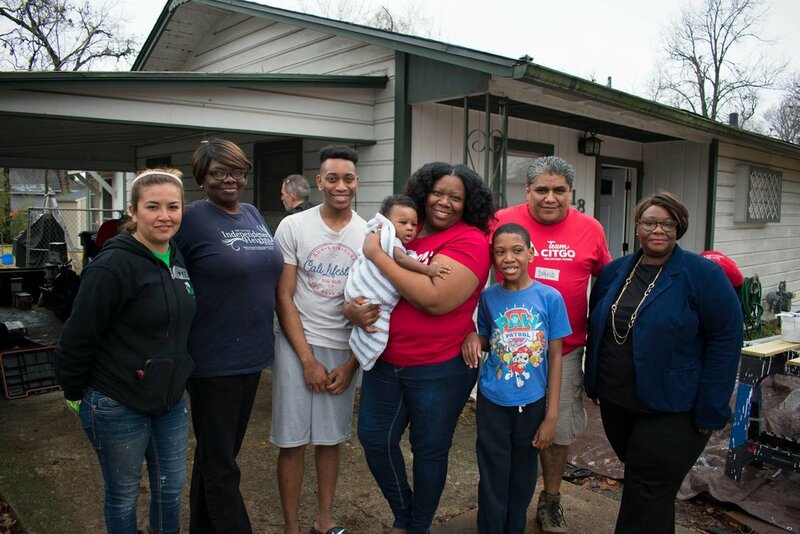 Along with the monetary donation, CITGO volunteers will work with Rebuilding Together Houston to repair the homes and ensue they are safe and healthy for Independence Heights families. The support from CITGO will also allow Rebuilding Together Houston to engage other community partners and volunteers to help our long-term recovery efforts. CITGO representatives, Rebuilding Together Houston staff, and community volunteers join Mayor Sylvester Turner and Representative Shelia Jackson Lee to celebrate the announcement of CITGO Day and CITGO's commitment to the Independence Heights neighborhood.